It is known that our sense of smell is the most strongly bounded with memory. We connect different perfumes with specific times of our lives, with experiences, people and places. Scents are the easiest path to go back in the past. How does your home smell like? Like your mother’s fresh cookies, clean linen or fresh grass? Do you want to bring the smell of an old library directly to your living room? Well, this is possible, as some companies had this brilliant idea of copying different smells with people’s native American States. And this is how the candles that smell like your State have made their glorious entrance on the market. See our tips on how to secure window candles. Why are candles that smell like your state so popular now? Would you buy a candle that smells like your parents’ home? Would you buy a candle that brings back beautiful memories every day? The answer would be pretty the same in all cases: yes! The brilliant idea of creating a specific smell for each of the 50 states of America was so welcome by people, that now the original company records great incomes. But what exactly are the candles that smell like your state? This interesting concept really reaches very sensitively places in people’s heart and mind. 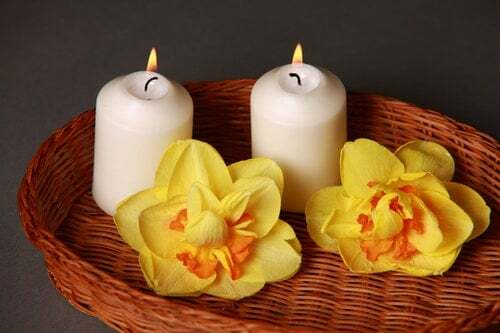 The candles are made of wax, like most of these products on the market, but when it comes to scents, they combine floral scents, with wooden, fruits and other agriculture elements so they can reproduce people’s favorite perfumes. Who is the pioneer of candles that smell like your state? The concept has been introduced by this company, Homesick, which wanted to offer specialized candles that tap into people’s sensory memory. The nostalgic scents are carefully created and reproduced so that people can travel in time only by burning a fancy candle. Homesick is a company created by a group of friends, who like many other people, wanted to reproduce the states they felt close to. This is how they ended up by creating candles with states that people are emotionally bonded. Which is the purpose of these candles? Those who are away from home would give anything to smell again the mother’s baking, wafting the kitchen or the scent of fresh cut grass from the grandparent’s garden. The purpose of candles that imitate people’s favorite scents is to heal the homesickness or nostalgia for the past. 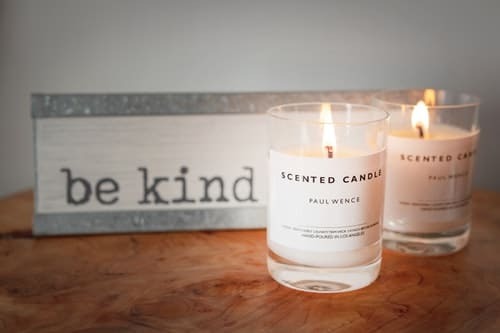 Your brother’s perfume signature lingering in the house, the woodsy-smelling fireplace or the delicious pancakes of your neighbors are few of the scents that these type of candles are reproducing. The state smell candles are made in the USA, with natural soy wax and cotton wicks. The Homesick company has created a specific candle for each of the 50 states, and also a limited edition line for some dedicated cities. You may try to check also top candles for relaxation here. One of the most appreciated candles, the New York one features hints of Adirondacks forest floor, apple orchards, and pumpkin, this way creating a specific smell that brings back memories of the “city of dreams”. Already known as the Magnolia State, the fragrance of this state candle combines blooming magnolia flowers with a bit of lime accent and, they say, the clear scent of waterfalls. In the description of the product, we also find sweet notes of cotton, woody patchouli, and cedar. The Texas Homesick candle has nice fragrances of dark leather, fresh pine, and thick lemon slices. The candle also has a note of cyclamen and a touch of sage. The Homesick company created the Massachusetts candle by combining hints of apple cider doughnuts and Dunkin coffee. They might not replace the smell of mom’s banana pancakes, neither the hug of your grandparents, but still, these candles smell great and their price is affordable. For bringing back memories or just a wonderful scent in the house, consider buying the original candles that smell like your state. Try to read also other articles like best smoke odor exterminator candle. What Does Oregon Smell Like?